I am about four chapters into David Berger's book, Thomas Aquinas and the Liturgy (published by Sapientia Press, and also sold by Ignatius Press) and I am suitably impressed with the work thus far. The book tackles, so far, a matter I've often lamented. Namely, there seem to be a certain sort of good and faithful Catholic out there who is fighting for orthodoxy in the form of catechesis, but it can at times seem to be an orthodoxy that is lacking in understanding of the importance of orthopraxis -- lacking in understanding of the importance of the sacred liturgy. By this I simply mean that some might think that the liturgy, or at least the form of the liturgy, is not all that important, as say compared to theology, philosophy, or apologetics. All incredibly important and necessary things. Things that seem more objective and important than liturgical aspects which seem to change or vary from rite to rite thus making them seem far more subjective. But is that conclusion so? Berger examines the question from the perspective of Aquinas, probably the single best representative of the strong academic and intellectual tradition of Catholicism. Berger sets out to show the importance and authority that the liturgy had for Aquinas. He demonstrates how often Aquinas appeals to the liturgy, the practice of the Church, as an authority for his own argumentation. Or how he notes that where a principle is at odds with practice, it is the principle which must shift. This of course is all ultimately balanced off by the authority of the Church. In a nutshell this book seems to be heading in a direction which is a good antidote for some of our colleagues whom, while so in love with the Faith, have not yet seen the importance which the sacred liturgy has as part and parcel of that Faith. Actually, it seems to me that it begs the question, if the liturgy is the source and summit of our Faith, and if the Fathers, Doctors and St. Thomas himself understood the primary and fundamental importance of the liturgy, and if one fails to likewise see its central importance and necessity, is there not something lacking in this kind of orthodoxy? My sense is there is, but I say so with the deepest empathy for those whom have not yet sensed this. Given the current state of the liturgy in most parishes and how it has been subjectified in practice, is it any wonder it hasn't been receiving the emphasis and attention it deserves? BRONX, N.Y. (CNS) -- Cardinal Avery Dulles said Oct. 25 that Pope Benedict XVI differs in significant ways from Pope John Paul II in his view of the Second Vatican Council, but added that both would agree that it has been "seriously misinterpreted." The council, he said, "needs to be understood in conformity with the constant teaching of the church." "The true spirit of the council is to be found in, and not apart from, the letter" of the council texts, Cardinal Dulles said. "When rightly interpreted, the documents of Vatican II can still be a powerful source of renewal for the church." Cardinal Dulles made the comments in his annual McGinley lecture, which took place this year at Fordham Preparatory School in the Bronx. The cardinal is the Laurence J. McGinley professor of religion and society at Jesuit-run Fordham University. Merton College, Oxford, England, on 13th - 16th September 2006.
and offer great encouragement to the speakers and participants,” he added. and the offices of Vespers and Compline. needed and delegates may participate at various levels. Archbishop of Birmingham, the Most Reverend Vincent Nichols. particular the Western rite known as the Tridentine Mass or the Mass of St Pius V.
should be initially addressed to him. His telephone number is: 020 7700 0241. Sacred Music, the quarterly journal of the Church Music Association of America, now under the editorship of William Mahrt of Stanford University, is accepting article submissions. 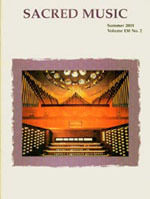 The new editors are particularly interested in editorials on current topics in Catholic church music, analysis of current or historical documents, reports on parish life as it impacts pastoral liturgy, practical guidance on the restoration of sacred music, scholarly research concerning Gregorian chant and classical polyphony, reports of concerts, reviews of new and older works, news reports, and letters to the editor. Send to the managing editor (Jeffrey Tucker) at submissions@musicasacra.com (format: .doc, single spaced, embedded footnotes). The editors are excited about the prospects of Sacred Music in our time, and hope that the journal will continue to provide leadership, scholarship, and inspiration for a new generation. For more information, see the site of the CMAA. Long-standing norms as well as recent legislation from the Holy See and the U.S. Bishops have led me to make certain changes in liturgical practice. Contrary to what some have alleged, these changes are not intended to hinder people’s full participation in the Sacred Liturgy; nor do I wish to return to the pre-Vatican II (“Tridentine”) form of Mass. The Council yielded good liturgical fruits, most notably a greater communal sense of worship. What I do oppose is the false notion of participation that would have one believe that unless one is engaged in uninterrupted observable activity, or performing functions traditionally reserved to the ordained (e.g., administering Holy Communion), one is not truly participating in the liturgy. Listening to the proclaimed word and joining in the people’s prayers and responses is full, conscious and active participation. The same can be said for attentively watching the ceremonial as it is enacted. Early in the school year, I sent a memo to the Religion class teachers encouraging them to have students function as lectors, select hymns and compose petitions for the class Masses. I find it ironic that some have accused me of discouraging participation, because more than once, despite my solicitation, students would arrive for class Mass without having prepared petitions, selected hymns, and so on. Is there a truncated notion of “participation” operative here -- one that equates participation with administering sacraments? EME’s. I have reduced (but not eliminated outright) the number of extraordinary ministers of the Eucharist (EME’s) by inviting area clergy (ordinary ministers of the Eucharist) either to concelebrate the all-school Masses, or simply to assist me with Communion. Some have challenged my decision to do this. Let’s see what Rome and the U.S. Bishops have to say on the matter of Communion distribution. The 1997 Vatican Instruction On Certain Questions Regarding the Collaboration of the Non-Ordained Faithful in the Sacred Ministry of Priests (Part II, no. 8) makes clear that EME’s are not to be routinely used; in fact, good pastoral planning would aim to reduce, if not eliminate altogether, the need for EME’s. (By way of analogy, one would not use an extraordinary minister of Baptism except in emergency situations where a priest or deacon is unavailable.) Therefore, any priest or deacon in good standing is welcome to assist me at the all-school Masses. I realize that our EME’s have been commissioned by Archbishop Curtiss to fulfill that role when needed. If they have been trained properly, they should know that their ministry is supplementary and extraordinary (meaning, in this context, not ordinary). I remember what one EME in my former parish told me: “Father, my prayer is that the day will come when we’re no longer needed because there are enough clergy to assist the celebrant.” That’s the right attitude, I thought. Want shorter Communion lines? Pray for more priests. When at any given Mass the majority of people receive Communion from extraordinary ministers, the impression is given that we are no longer a community fed by its spiritual father who acts in persona Christi, but rather a community feeding itself. Eucharist and Priesthood are inseparable, and this intimate bond must be clearly manifested in practice as well as theology. Intinction. On a related matter is the practice of intinction, that is, of dipping the consecrated Host partly into the chalice and placing the Sacrament on the communicant’s tongue. Intinction requires fewer ministers for distribution of Communion, as only one chalice is needed. Since less wine is consecrated, less Precious Blood remains to be consumed after Communion, and there are fewer vessels to purify after Mass. The U.S. Bishops’ Norms for the Distribution and Reception of Holy Communion Under Both Kinds (June 2001; approved by the Vatican in March 2002), states: “In practice, the need to avoid obscuring the role of the priest and the deacon as the ordinary ministers of Holy Communion by an excessive use of extraordinary ministers might in some circumstances constitute a reason for limiting the distribution of Holy Communion under both species or for using intinction instead of distributing the Precious Blood from the chalice” (no. 24, emphases mine). I often opt for intinction because it allows me to maintain the availability of Communion under both kinds while avoiding an excessive use of EME’s. All of this is in no way meant to suggest that, unless things are done exactly as I do them here, it’s wrong. You can see by the wording of the above passage from the U.S. Bishops’ norms that the decision whether and when to use intinction is a matter of pastoral judgment on the part of the celebrant. My knowledge of the Church’s liturgy, my concerns over the relationship between belief and practice, and my years of seminary study, afford me no small competence to make such decisions. I have been teaching the students (at class Masses) the Kyrie eleison (which is Greek, actually), the Sanctus and the Agnus Dei Mass chants with a view to exposing them to the Church’s rich liturgical patrimony. There is a common misconception that the Second Vatican Council (1962-65) prohibited the use of Latin and Gregorian chant in the liturgy. Quite the contrary. Vatican II’s Constitution on the Sacred Liturgy [Sacrosanctum Concilium] (4 Dec. 1963) states: “The use of the Latin language… is to be preserved” (no. 36). Elsewhere, we read: “Care must be taken to ensure that the faithful may be able to say or sing together in Latin the parts of the Mass which pertain to them” (no. 54). While opening the door to the use of the vernacular in the Sacred Liturgy, Vatican II clearly did not intend an all-vernacular liturgy. The 1983 Code of Canon Law indicates that “the Eucharistic celebration is to be carried out either in the Latin language or in another language, provided that the liturgical texts have been lawfully approved” (can. 928). I do not advocate the occasional use of Latin simply because of liturgical norms (however widely ignored these are). 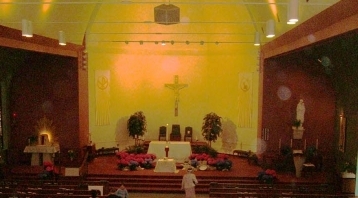 While I certainly acknowledge the benefits of worshipping in the vernacular, I advocate the use of some Latin because of its capacity to evoke a sense of the transcendent and eternal; it transports us, as it were, beyond the four walls of our chapel (or gym) and connects us with the Church of the Ages, the Church Universal. Recent Popes have repeatedly warned that the loss of a common language for worship will impoverish our sense of catholicity (“catholic,” after all, means universal) and thereby lead to a congregationalist mentality whereby each local community is a “church” unto itself. Recently I submitted a bulletin item inviting freshmen boys to see me about training to become altar servers for the all-school Masses. Why only boys? In July 2001, the Vatican Congregation for Divine Worship and the Discipline of the Sacraments issued a letter stating that no priest is ever obliged to have female servers (even where this is permitted by the local bishop). The letter also reaffirmed that altar boys should be encouraged. I observed at the all-school Masses that, while students were functioning as cross- and candle-bearers, there were no servers to assist the priest at the chair or at the altar. So, I decided to recruit additional servers for the all-school Masses to assist at the altar. Since archdiocesan policy forbids the number of girl servers to exceed the number of boys, I thought that inviting only boys to fulfill the additional roles would ensure two things: compliance with archdiocesan policy (by balancing the numbers), and encouragement of male servers (and thus, indirectly, of priestly vocations). The bottom line: Girls may still function as crucifers and candle-bearers, but boys will serve any additional roles as needed. In my experience of choirs and choral singing, men and particularly the tenors, were notoriously bad at sight-reading! Many of us, given a piece of music with the notation written in the bass clef simply fell to pieces, causing the sopranos to give us withering looks. And now, I'm struggling to come to grips with the plethora of Gregorian chant antiphons and hymn tunes we have to learn for the daily sung Office. Being a cantor puts me under considerable pressure to learn to read neums expertly and so I'm pleased to draw your attention to Bernard Brandt's post 'On Reading Music'. I think he offers sensible and useful advice for people in my situation and others who may need to read neums and other choral music frequently and fluently. Definitely worth a read! We talk often of choral music and chant on this blog but not everyone is an expert musician or sight-reader so here's a primer to help us improve our music reading skills and hopefully enable us to sing beautiful church music accurately! ANN ARBOR, Mich. -- Some of the world's most acclaimed scholars of the Catholic liturgy will speak at an international conference Oct. 27-30 marking the contributions of Cardinal Jorge A. Medina Estévez, former prefect of the Congregation for Divine Worship and the Discipline of the Sacraments. The conference will be held at the Colombiere Center in Clarkston, Michigan. Titled Sacrificium laudis: The Medina Years (1996-2002), the conference celebrates the golden (50th) jubilee of Cardinal Medina’s ordination to the priesthood. He served as bishop of Valparaíso, Chile, before being called to Rome by Pope John Paul II to head the Vatican congregation in charge of liturgy and sacraments. Cardinal Medina completed the task of revising the liturgical books of the Roman Rite in response to the mandate of the Second Vatican Council (1963-65). As protodeacon of the Roman Church, he announced to the world from the balcony of St. Peter's Basilica the election to the papacy of his long-time friend, Cardinal Joseph Ratzinger, now Benedict XVI. "This conference will showcase the talents of international, American, and local scholars of the liturgy," said conference organizer Fr. Neil J. Roy, editor of Antiphon: A Journal for Liturgical Renewal. "Some of the speakers are not only distinguished scholars in their own right, but are official consultors to the Holy See. This means that Church authorities recognize and value the expertise of these scholars in the field of liturgy and sacramental theology." Rev. Jo Hermans, secretary for liturgy of the Dutch Bishops Conference, and professor at two major seminaries in Holland. Helen Hull Hitchcock, Cofounder and member of the Executive Committee of Adoremus, editor of Adoremus Bulletin. Dennis McManus, Ph.D., Director, Intercultural Forum for Studies in Faith and Culture, Pope John Paul II Cultural Center, Washington, D.C.
Monica Migliorino Miller, Ph.D., Professor of Theology, St. Mary's College, Madonna University, Orchard Lake, Mich. In addition to these addresses, the conference will feature beautiful liturgies marked by Gregorian chant and sacred polyphony. Fr. Samuel Weber, OSB, professor at Wake Forest University, N.C., will be the chant master at the Liturgy of the Hours. The conference will begin at 7 p.m. on Thursday, Oct. 27, and close after lunch on Sunday, Oct. 30. Admission is $330, and includes three daily meals, housing, and a guided tour of Detroit’s historical Catholic churches. The Columbiere Center is located on 420 rolling acres of mature pines and hardwoods in Clarkston, Mich., less than an hour drive from Detroit. To register visit the web site of the Research Institute for Catholic Liturgy at www.liturgicalrenewal.org. The Sacred Liturgy, declares Vatican II, is the font from which all the Church's spiritual power flows. In his modern classic work The Wellspring of Worship, Fr. Jean Corbon explores the meaning of the Liturgy as the "wellspring" or source of the Church's life and worship of God. The Liturgy itself is a sharing in the mystery of the Triune God and in the Incarnation, Passion, Death, Resurrection and Ascension of Jesus. Corbon writes that it is "the mystery of the river of life that streams from the Father and the Lamb", into which believers are to be drawn. In this way, the divine river waters their entire lives, renewing and transforming them. The Wellspring of Worship is a masterful reflection on the mystery of God's Trinitarian life and how the Church's members participate in that life through the Liturgy. I would like to sincerely recommend to everyone to read this small booklet, Four Benefits of the Liturgy, by a Benedictine Monk of the Tridentine Abbey of Le Barroux in France. (It is available from the publisher, St. Austin's Press, or from Amazon.com for about $4.95 U.S.). The message and expression of this book is profound and deeply moving. In this book, the author goes through how the liturgy recalls to us the transcendence of God, he speaks of the power of liturgical beauty and the interior formation we undergo through good liturgy. "The beauty of the sacred rites enobles souls. It elevates them by exercising over them the sweet attraction of Heaven." "It [the liturgy] opens to the small and the great alike the treasures of its magnificence: the beauty of psalmody, sacred chants and texts, candles, harmony of movement and dignity of bearing. With sovereign art the liturgy exercises a truly seductive influence on souls." Read this book, you won't be disappointed. 10. We wish that «Eucharistic wonder» (EE 6) might lead the faithful to an always stronger life of faith. 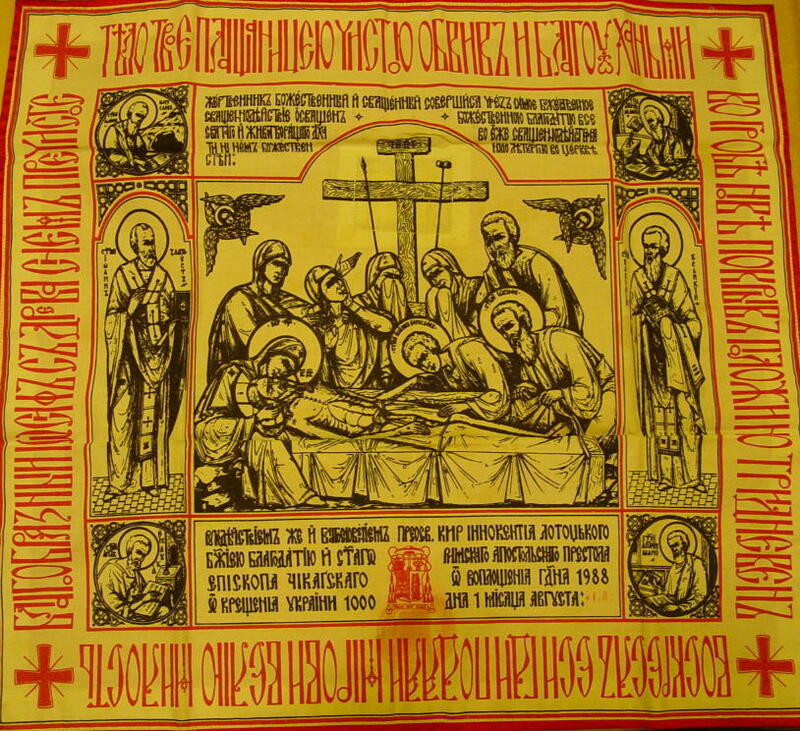 To this end, the Eastern Orthodox and Catholic traditions celebrate the Divine Liturgy, cultivate the prayer of Jesus and the Eucharistic fast, while the Latin tradition fosters a «Eucharistic spirituality,» that culminates in the celebration of the Eucharist. There is also the adoration of the Blessed Sacrament outside Mass, Eucharistic Benediction, processions with the Blessed Sacrament, and healthy manifestations of popular piety. Such spirituality will certainly prove to be a very rich resource in sustaining everyday life, and strengthening our witness. For the parish priests who read this blog, and I know there are at least a handful, hopefully more behind the scenes as well, I'd be interested in hearing of your parish experiences in implementing the reform of the reform. Have you implemented any of the kind of ideas we've talked about on this blog in your own parish, either at some point in the past, or in the present? Or are you thinking of it? I'd be interested in hearing the results, or hearing your ideas. You can either post your comments publically using the comments feature, or you can email me privately. ...is the catchword attached to the Ward Method of Music Instruction, a progressive method of teaching elementary school children – through vocal instruction – music theory, composition and conducting. It is the method that was taught in Catholic schools throughout the country in response to Pope Pius X's encyclical of 1903 calling all Catholics and musicians to abandon secular influences in liturgy and turn, instead, to Gregorian Chant, which is the foundation of our liturgical tradition. With these principles in mind, Justine Ward went on to write the method that can be adapted to teaching children of all ages, including adults in the schola and in the congregation. Its principles are the very ones offering us vision and hope in days of rampant secularism and lack of reverence at Mass. PROVIDENCE, October 20 (CNA) - A three-day conference next month will discuss issues related to the traditional Latin Mass under the papacy of Benedict XVI. The conference is organized by Una Voce America, an international organization dedicated to promoting the return of the traditional Latin mass in parishes worldwide. There are 70 chapters of Una Voce in the United States. The conference, entitled Tradition in the 21st Century: The Mission of Una Voce in the Papacy of Benedict XVI, will be held in Providence, R.I., Nov. 18-20, and will feature Bishop Fernando Rifan of Campos, Brazil, as the guest of honor. Other speakers include Fr. Joseph Wilson, contributor to Cruxnews.com, Fr. Thomas Kocik, writer, and Fra Fredrik Crichton-Stuart, newly-elected FIUV president. The weekend will include lectures and presentations, liturgies, Holy Hours, an array of devotions, a high mass and a Communion breakfast. Mass on Saturday morning will be celebrated according to the Rite of Braga, one of the liturgical forms protected under the Council of Trent in the 16th century. Confessions will also be available throughout the weekend. 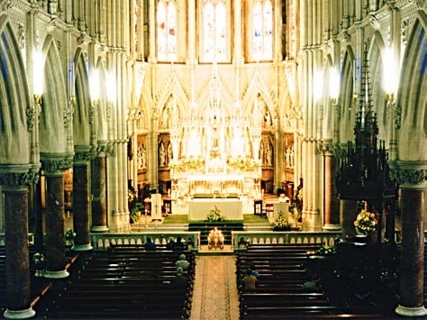 According to the organizers, an increasing number of Catholics worldwide have become devoted to the traditional Latin mass, which was celebrated universally by the western Church prior to the Second Vatican Council, after which the vernacular came in use. In 1988, Pope John Paul II confirmed that the traditional Latin mass is permitted throughout the Church, with the approval of the local bishop. Since then, Una Voce says, over half the dioceses of the United States have established weekly Latin masses. The organization noted that, prior to his election as Pope, Cardinal Joseph Ratzinger promoted a "wide and generous application" of the traditional Latin mass. At a 1998 lecture in Rome before 3,000 Catholics, then-Cardinal Ratzinger noted that the many Latin mass communities which have emerged since 1988 "have given the Church a great number of priestly and religious vocations ... through them, many of the faithful have been confirmed in the joy of being able to live the liturgy, and confirmed in their love for the Church, or perhaps they have rediscovered both." There are 3 areas which I believe are the most universal and logical starting points, and which will most effect the liturgy, re-orienting it with an emphasis on the vertical rather than the horizontal. I believe these three things can be done all at once and still remain pastorally sensitive. a) Move the chair of the priest from behind the altar, to the side of the altar, not facing the people, or angled toward them as some parishes do, but rather like the traditional arrangement, with the priest looking at the side of the altar directly. In short, if your sanctuary faces East (for example), the chair for the priest and servers would be on the South or North side. b) If you can't resume the common direction of liturgical prayer (and many priests may not yet be comfortable making such a move immediately) take another approach. Place a substantial crucifix back on the centre of your altar, facing toward teh celebrant -- and make it an altar cross that is noticeable and substantial, like the old altar crucifixes. Perhaps in this case, something at least 18" in height. Enough to be noticeable and a bit of an obstactle between yourself, the priest, at the altar and the congregation. This, as Ratzinger has said, will re-emphasize that liturgical prayer is focused not upon a priest dialoging and turned toward the people but rather turned toward the Lord -- in short, making your "facing the people" to be only incidental as in the Early Church. Make sure your altar cross and candlesticks are beautiful! If possible, I would also recommend that you put matching candlesticks back on or by the altar as well, lined up if that works. Use six for Sundays, and four or two for other classes of feasts and ferial days according to the laws of the church. c) Begin to slowly re-introduce Gregorian chant into the Ordinary parts of the Mass. I would recommend starting with the Kyrie and Agnus Dei as these are the easiest for people to learn. You may consider using some of the basic Latin responses and versicles such as "Dominus Vobiscum" and "Verbum Domini" after the Gospel. But begin with the sung Ordinary for certain and gradually expand it until you've gotten your congregation trained in the sung ordinary in Gregorian chant. These are, I believe, the biggest three things to institute at first. After a time, you can then consider placing the tabernacle in the centre of the church again and expanding the reform of the reform in other ways. In the meantime, you will have effectively and quickly turned the liturgy away from feeling a simple communal event, to a stronger sense of it as a sacred act wherein the community worships God. Many readers will already be familiar with the name of Monsignor Klaus Gamber, the well known and respected liturgist from Germany. Some will be familiar with his primary work of liturgical criticism, The Reform of the Roman Liturgy: Its Problems and Background, while others will have no doubt heard of him quoted or referred to by other contemporary liturgical commentators, particularly Joseph Cardinal Ratzinger. The Modern Rite is another contribution from Msgr. Gamber on the question of the liturgical reform. In point of fact, the book is comprised of essays published in various journals around the time of the Council and the introduction of the modern Roman rite of Mass. A common theme unites these essays, which Gamber states as follows: "The following collection of essays... are intended to draw attention to the dangers of liturgical reform from the point of view of a historian of the Liturgy, and to look for a middle way between rigid immobility within the old Tridentine forms , and an aimless pursuit of novelty." The topic might seem quite to some. After all, are we not now long past the time when these debates were presently raging and where the ink was still fresh on the pages of the 1970 Roman Missal? Are not the liturgical reforms now a fait accompli? While we are indeed past the time when these debates raged fresh, Gamber's insights are still as relevant in our own day as they were in his. After all, we are not yet out of the very dangers that Gamber was pointing out; dangers rooted in an overall mindset and approach to the liturgy characterized by hasty experimentation and a thirst for novelty. Even our present missal and liturgical forms are not as set as some might think were some liturgists to get their way. Indeed, many Catholics are only too familiar with the ongoing instability of their parish liturgies; instabilities created in the pursuit of "creativity" and "relevance." Moreover, there is the question of the reform of the liturgical reform, an ever increasing voice which is again taking up a critical examination of the liturgical reform and seeking corrective measures to the excesses and destruction of the past decades. Far from being dated, there is something of a prophetic voice to be heard in these essays, a tone which Gamber is more than willing to take. Gamber's work is not only an interesting commentary on the issues of his day, but also serves readers today as a general guide to the principles of proper (and improper) liturgical reform. Readers will find that Gamber is indeed a realist and a moderate in the true sense of the word. While valuing the tradition, he is able to admit where the old Roman rite was in need of organic development – things such as the use of vernacular in the epistle and Gospel for instance. At the same time, however, he is very critical of what he perceives as a lack of pastoral sensitivity in implementing liturgical reform, in the nature and scope of the particular reforms themselves, and the overall attitude of manufacturing liturgy which sits contrary to the tradition of organic development. The essays tackle most all of the major issues which have come up these past fourty years: Mass facing the people, communion in the hand, Latin and the vernacular in the liturgy, the nature of the Mass as a sacrifice, active participation, calendar reform and the question of making the liturgy relevant to modern man. If you are looking for a book which critically analyzes the liturgical reform, which values the past while not immobilizing it and which is done in easy to understand terms, then this series of essays is something you will want to acquire. Books from St. Michael's Abbey Press may be ordered in the USA and Canada through St. Augustine's Press Distribution Centre, Tel: 1-800-621-2736, or email: kh@press.uchicago.edu. We are all called to be a people of prayer. Perhaps we should all take the effort to pray the Novena for the Renewal of the Sacred Liturgy put out by Adoremus. You can get lovely print copies of this in the format of a tri-fold brochure. But for our purposes, go the their website and we can all begin praying this. Please promote this. Whether you find yourself mainly interested in the Reform of the Reform, or the classical Roman liturgy, or the Eastern liturgy, this is for the good of all the Church, for we are all part of the One Body of Christ. "Will History Judge It a Success or a Failure?" December marks the 40th anniversary of the close of the Second Vatican Council. So these final months of 2005 are a good time to reflect on the needs of the Church in today's world and our own commitment to Catholic discipleship. History is a powerful teacher. While all true ecumenical councils are important in the life of the Church, some failed to achieve their goals. The Council of Florence failed in the 15th century because the Western Church was badly divided and the Greek Church could not accept a union. The Fifth Lateran Council failed in the 16th century because it focused on the wrong issues. It did too little too late to change the conditions that led to the Protestant Reformation. We need to ask ourselves this fall, as we consider the goals that the Second Vatican Council set for itself: Will history judge it a success or a failure? In opening Vatican II, Blessed Pope John XXIII said that, "the council now beginning rises in the Church like daybreak, a forerunner of most splendid light." Pope John Paul II, who attended the council as a bishop, spoke many times about "crossing the threshold of hope" and a rebirth of Christian faith in the new millennium. So far the evidence is mixed. One in every three new children born in "Christian Europe" today is Muslim. Except for Islam, religious belief and practice are declining across the continent. So are fertility rates. Pope Benedict XVI told a gathering of Italian priests recently that the "so-called traditional Churches look like they're dying." In fact, in Europe's wealth and selfishness and refusal to have children, an entire civilization seems to be choosing to die. Last month, Pope Benedict urged a group of new bishops to pray for "a humble trust in God and for the apostolic courage born of faith." In 2002, the then-Cardinal Joseph Ratzinger said that "a bishop must do as Christ did: precede his flock, being the first to do what he calls others to do and, first of all, being the one who stands against the wolves who come to steal the sheep." Whether history judges Vatican II as a success or a failure finally depends on us -- bishops, clergy, religious and laypeople alike -- and how zealously we live our faith; how deeply we believe; and how much apostolic courage we show to an unbelieving world that urgently needs Jesus Christ. We've been here before. Seventeen centuries ago, the great Council of Nicaea (A.D. 325) could have failed. In reaffirming God's Trinitarian nature and the reality of the Incarnation, Nicaea deeply influenced not only the faith of the Church but the course of Western civilization. But that council, and all the long history that followed it, could have turned out very differently. It didn't, because of one man -- a young deacon and scholar at Nicaea named Athanasius of Alexandria, who was inspired by the Holy Spirit. Athanasius fought for the true Catholic faith at Nicaea and throughout his entire career. Hostile bishops excommunicated him. Emperors resented him. His enemies falsely accused him of cruelty, sorcery and even murder. He was exiled five times. And in the face of it all, he became the single most articulate voice defending the orthodox Catholic faith, which is why even today we remember him as "Athanasius contra mundum": "Athanasius against the world." He never gave up. He had courage. He had the truth. And the truth won. He became one of the best-loved bishops and greatest saints and Doctors of the Church -- and the faith we take for granted today, we owe largely to God's work through him. Now, that's my idea of a leader. That's my idea of a Catholic believer fully alive in Jesus Christ. And if bishops and their people choose to live that same apostolic courage once again -- beginning here and now -- then John XXIII's hopes for the council as a new dawn for Christian life really will rise in the Church as a light to the nations. Let me tell you the tale of two churches which I found on my local diocesan website. You may also like to take a really close look at its high altar. Quite a difference isn't there? Now, unfortunately, many of you have likely already guessed it: this is the same church. In fairness, in this case a fire hit this church damaging the interior which spurred the renovations. The bad news is twofold: one, they did a poor job "restoring" the sanctuary of this church, and two, we know that in a great number of cases this was done intentionally to churches for ideological reasons, and out of false antiquarianism. The church could have been restored more closely to the original, but the style adopted was that in fashion in those troubled times. Clearly the former architecture was more likely to inspire, both children and adults with a sense of wonder and a sense of the sacred. Certainly we know that the Second Vatican Council did not call for these kinds of radical changes which destroyed the beauty of so many of our churches -- although that is the often heard mantra. We need to take up opportunities to inform people of what that Council actually said and mandated, and reclaim it for the service of the Church and of Christ rather than for those who wish to reshape the Church in the image they would prefer. I. The Liturgical Movement: Friend and Foe? After reading the essays in Looking Again at the Question of the Liturgy with Cardinal Ratzinger one of the impressions I was left with was that the previous liturgical movement, while overall quite good (though with some being better than others), did make some mistakes in how they approached the question of the liturgy and liturgical reform -- mistakes we need to learn from and avoid. It is within this very context of the liturgical movement wherein we begin to see and hear of such novelties as Mass facing the people (to name but one example) -- something which Jungmann and Bouyer sounded cautionary notes about; they noted that some faulty historical assumptions were being made about the liturgical practice of the early Church, and these mistaken assumptions were used to justify this practice. Uwe Michael Lang has highlighted their 'cautionary verses' in his own wonderful work, Turning Towards the Lord. "But it is neither wise nor laudable to reduce everything to antiquity by every possible device. 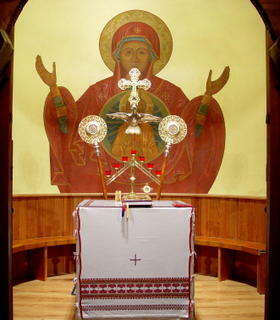 Thus, to cite some instances, one would be straying from the straight path were he to wish the altar restored to its primitive tableform; were he to want black excluded as a color for the liturgical vestments; were he to forbid the use of sacred images and statues in Churches; were he to order the crucifix so designed that the divine Redeemer's body shows no trace of His cruel sufferings; and lastly were he to disdain and reject polyphonic music or singing in parts, even where it conforms to regulations issued by the Holy See." We also live in a time which has been pervaded by rationalistic thinking. 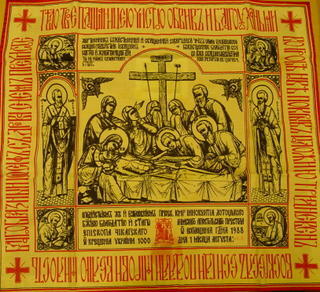 Professional liturgists now speak of duplication of symbols, as an example. Suddenly it is unacceptable that there should be two crucifixes in or near the sanctuary even if the one is the processional cross and the other on the altar, or on the wall in much grander scale. Likewise, there is a prevailing sense that all must be doing the same actions at the same time and in the same manner. Too often have I heard liturgists speak of the need for symbols that are clear to the people (to thus allow them to more consciously participate -- not a bad thing) and yet these same liturgists construct and implement many symbols and liturgical ideas which are so disconnected from any proper Catholic sense, let alone common sense, that they would never enter into the minds of Catholics, be they educated or uneducated. They have effectively become their own private clique with their own jargon and their own theories; theories not rooted in genuine Catholic thinking, experience or the culture formed by it -- a culture which still resonates because it has formed the people on a deep level -- but theories which seem contrived and constructed merely on the principle of novelty and which are ultimately rooted in rationalism. In the context of the liturgical reform, this rationalism became present in the method in which the reform was carried out. Dropping the ball on the age-old practice (and conciliar mandate) to organically develop the liturgy, it would seem instead as though the modern Roman liturgy was constructed -- or to put it in the oft heard phrase of Cardinal Ratzinger, it was a "fabricated liturgy" -- and subjected to the analytic reasonings of various specialists. Fr. Aidan Nichols has spoken in Looking at the Liturgy of how rationalism has pervaded our approach to the liturgy. This influence of rationalism is perhaps the greatest danger we have to avoid and to face in our analysis of and approach to liturgical reform. If we allow this rationalistic approach to liturgy to continue, we face the prospect of tragically making the same mistakes over and over again. Our Holy Father of venerable memory, Pope John Paul II, reminded us in Orientale Lumen (The Light of the East) that the Church breathes with two lungs: that of the Eastern Church and that of the Western Church. One of the great fruits of the Second Vatican Council was the new awareness of the West toward the Christian East; liturgical churches par excellence. It seems to me that the Christian East may offer a bit of the antidote to our Western rationalism, being rooted in cultures which did not experience the influence of the Enlightenment, and which were even separated from the developments of scholasticism. IV. Time to Re-Think and Take Stock? The epiphany that the aforementioned texts and circumstances have brought forth to me is that perhaps the basic principles which informed the liturgical reform even before it happened need to be re-analyzed. There was a great rush towards liturgical reform in the 20th century -- and this desire was not without merit as some reforms, like the introduction of some vernacular (particularly for the Propers), are highly desireable. But perhaps because of that rush, mistakes were made at the fundamental level of first principles? These mistakes allowed the reformers approach to the liturgy as an object to be dissected rather than a temple and vehicle of the Holy Spirit to be received. I've so much enjoyed Adam Barnette's blog on the 1965 Missal. One hardly hears about this liturgy at all and yet, as he points out again and again, it is one that follows most directly from Sacrosanctum Concilium (1963), so it is reasonable to see that as most reflective of the prevailing opinions concerning the letter and spirit of the mandate for reform. However defensible most of the changes are, it seems clear that there were missteps, perhaps some that doomed the whole project. In particular, I've littered up his blog with obsessive comments on what strikes me as most strange about this Missal: the retention of Latin in propers and the introduction of English in the Ordinary. See, for example, this page at the Pax Domini and before the Angus...err...Lamb of God. As I wrote on his blog, this strikes me as big strategic error, one that neither satisfies the vernacularists nor calms the fears of the trads of the time that the Mass was being mangled. Even today, in regular parishes, there is very little prospect of putting propers in Latin anytime soon (unless sung exclusively by the schola) but there is a growing demand for the Ordinary to employ Latin (I've yet to hear anyone cite 1965 as the precedent against Latin Ordinary, so I can only hope the wrong people aren't reading this blog). Now take yourself back to 1965. Imagine yourself having grown up under the old Mass--not understanding too much of the propers (at least not without reading them) but feeling great comfort at the week-to-week repetition of the familiar things: Kyrie, Sanctus, Gloria, Sanctus. Then one day you show up and the liturgy looks and feels the same except for the parts that you have loved since childhood. Instead of Agnus Dei you are given "Lamb of God." One could see how this would strike a sense of alarm in Mass goers. Now imagine the reverse, with propers in English but retaining Latin in Ordinary. This seems that something that would have pleased many (provided the translations were good) and calmed fears too. I'm probably making too much out of this, but this whole period of liturgical history has always struck many people as mysterious in every way, and so we are always looking for clues as to what happened and why. I'm just wondering if Adam might have stumbled upon a possible explanation , or at least a partial explanation, for the liturgical instability of the period. What I mean is this: is it possible that had the 1965 Missal been more sociologically viable that there might never have been a 1969-70 Missal? I don't know. But it is a question worth asking. In any case, it makes for fascinating study (and clearly I need to do more). VATICAN CITY, OCT. 9, 2005 (Zenit.org).- The first week of the Synod of Bishops focused chiefly on seven topics, foremost among them "the sacrificial dimension of the Eucharist," says a spokesman for the assembly. In fact, Benedict XVI dedicated his free intervention on Thursday to this question, said Isidro Catela, spokesman to the Spanish-language media. "Sacrifice" and "banquet" are the two recurrent concepts mentioned by synod members, said Catela. Framed in this context are "the experiences of contemporary martyrdom, not only of known persons but also of the daily suffering of so many people," he said. The second topic frequently mentioned was the "objectives of the Eucharist," that is, its vertical, or spiritual, dimension, and its horizontal, or communitarian, dimension in a world that is materially and spiritually hungry, said the spokesman. At this point, the Eucharist and the culture of life were discussed, with reference to No. 73 of the synod's working document. No. 73 refers to the coherence of believing politicians and lawmakers, as well as to the commitment of all Christians in public life. The third issue referred to normative questions and abuses, with references to the Second Vatican Council and the Council of Trent in regard to the real presence of Christ in the Eucharist. The "ars celebrandi," art of celebration, was the fourth topic discussed. It touched on the opportunity to receive Communion in the hand or the mouth; the central location that tabernacles should occupy in churches; and the need for silence and adoration. The fifth topic addressed was the ecumenical dialogue and intercommunion -- the possibility of giving Communion to Christians of other denominations -- which, according to Catela, sparked "great and varied interest in the free interventions." Catela also noted that there were discussions about secularization and religious indifference; liturgies that await priests; and celibacy in the Church. "There is the conviction that celibacy in the Latin Church must be promoted," Catela added. The sixth topic referred to the relationship of the Eucharist with the other sacraments. Catela said that the synodal fathers want special emphasis placed on the relationship between the Eucharist and the sacrament of reconciliation and that an "integral catechesis" be undertaken, capable of linking the various sacraments among themselves. Someone asked that a Year of Penance be convoked, and others hoped that the Year of the Eucharist would be extended and related to the family. The seventh topic was "reconciliation which should lead to peace." The participants stressed the need for the Church to be an instrument of reconciliation, and that the Eucharist serve as experience, Catela said. Catela noted that the seven topics do not cover all the points raised so far at the synod, and that other issues are still on the agenda. The synod ends Oct. 23. Some testimonies of African countries made it clear that the Eucharist is the only meeting place of different and conflicting ethnic groups. Several synodal fathers asked that the synod's final message mention Jerusalem and the Holy Land, because of their connection with the Eucharist and the longing for peace. When I see this picture, taken in what seems to be the Russian countryside, with the snowfall glazing the trees, I can't but help think of the humble pilgrim in the Way of the Pilgrim, wandering Russia seeking out the meaning of St. Paul when he says we are to pray without ceasing. This humble pilgrim wanders with dried bread in his backpack, a copy of the Holy Scriptures and the Philokalia, the great treasury of Eastern monastic spirituality with the words of the Jesus Prayer always on his lips. The ongoing story of the re-translation into English of the Pauline missal of 1970. Check out this new blog which is dedicated to the topic of the 1965 Roman Missal. For the curious, he also includes the actual text of the ordo missae from this missal. Vatican City, Oct. 04, 2005 (CNA) - Msgr. Tadeusz Kondrusiewicz, Catholic Archbishop of Moscow, says Liturgical reformation needs to be reformed, with a new document in order to correct the many abuses in the celebration of the Eucharist. 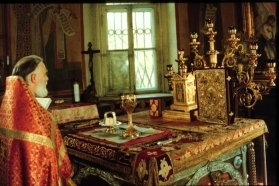 Speaking in Italian, the Russian Archbishop noted that the liturgical reform allowed a more conscious, active and fruitful participation of the faithful in the Eucharist. The Eucharist, he added, is placed at the heart of the Christian faith, that suffers foremost from the corruption of the Eucharist. Pope Benedict XVI, made a call to eucharistic devotion and the bold and clear affirmation in the real presence of the Lord, mostly it its solemnity. “A change in the liturgical life requires that we approve a new doctrinal document that stresses the observance of liturgical norms.” Because “Christ doesn’t have to suffer for the abuse in the eucharistic celebration, that always has to be welcomed and lived as “sacrum,” as a mysterious renewal of Christ’s sacrifice. Further to the observation of this post--namely that young people are fascinated by and drawn to sacred traditions once they are exposed to them--a new survey by the National Catholic Reporter paints a devastating picture of Mass attendance by the young. This chart presents trends broken down by generation: pre V2, V2, and post V2 (for whom V2 might as well be the Council of Basle). Among the pre V2 generation, 60 percent attend Mass every week (a figure stable since 1987). Among the V2 generation, 36 attend Mass and say that Church is "among the most important parts of my life"--a figure that has fallen in 1987 (from 42%). Not a good trend here. But the shock comes from looking at the post V2 generation. While 30 percent say Church is important, a mere 15 percent attend Mass every week. This is a dramatic fall from 30% in 1987. Now keep in mind that liturgical trends for decades have been driven (in the US) by a central concern that we must appeal to the young. All of us involved in music hear this all the time: the young people don't want chant and polyphony, and certainly no Latin; they want community-friendly music with a beat, "relevant" homiletics, lost of flesh-pressing and the like. Nowadays, in the typical parish, we must deal with the preposterous scene of aging and bulging 50 somethings dictating to teens and young adults what music can be properly called "young" and "contemporary"--much of which turns out to be 30 years out of date in style if not year of composition. But how have the young responded? The demographics suggest that they find ever more compelling reasons not to attend Mass. Perhaps this is because liturgies are too much like the rest of life, with homilies that sound like civic-club lectures, music that sounds like Musak, and an absence of space for contemplation and serious reflection? Perhaps so. In any case, this data indicate that the advocates of the sacro-pop liturgical status quo--who assure us that they and only they know what the young want--have some explaining to do. I recall a few years ago visiting a high-school kid who was all excited about a Baptist church service he attended without fail, one specifically designed for young people. He said it was amazing: a shadowy evening service, candle lit, no microphones, and unaccompanied singing, with far more silence than talking. The place was packed every time. Hearing him tell of this really stung this Catholic's heart. This sensibility he cultivated in a variety of ways – all dealing with the Sacred Liturgy – from the composition of numerous Mass formularies which eventually found their way into the Sacramentary which bears his name, to the founding of a school of sacred music, to the standardization of the Roman Canon which still reflects his noble touch. He realized that while he re-taught basic ethical principles which would restore to the City an appreciation of the good and the true, he also had to give them an experience of the beautiful, and that most especially within the context of Christian worship. Gregory wanted to raise up again that marvelous Roman civilization which laxity and decadence had destroyed, the culture which had produced a statesman like Cicero, a poet like Virgil, a general like Caesar. Culture, however, has always needed cult, in the sense of ritual. And so, he made the reform and renewal of the Liturgy a top priority. Gregory’s plan worked – from the dung-heap of a desiccated, lifeless city, Gregory’s Church built a civilization which even the most cynical must acknowledge as a culture to be admired and envied. The Middle Ages, the Age of Faith, was born; Rome, Phoenix-like, rose from the ashes and proved herself to be eternal. The picture I painted of sixth-century Rome at the outset could indeed apply to contemporary Rome – or New York, or Paris, or Tokyo, or a host of other places where the spirit of the so-called Enlightenment has pulled down God from altars and there enthroned man. And the trade-off has been every bit as disastrous for us as it was for old Rome. The program of St. Gregory the Great was successful for him; I do not think it wishful thinking to suggest it might have something to offer for us as well. Keynote address: "A Return to the Source: The New Translation of the Divine Liturgy"
The other evening I gave a talk on the sacred liturgy to the young adults group at my parish, St. Peter's Cathedral-Basilica (see picture). It's a group made up of various people, some converts, some converting, some cradle-Catholics. Many of them are coming to learn more about their Catholic Faith, and of course for fellowship with other Catholics. In thinking about how I would present such a broad subject to this diverse group, I quickly wrote off the idea of getting too indepth on the whole theology of the liturgy, except of course for mentioning the basics. To that end, we discussed how the liturgy, while about community, is first and foremost worship of God; how it is a foretaste of the heavenly liturgy and how it is a perpetuation of the one sacrifice of Christ on the Christ, mystical yet real. Ultimately I determined the talk would focus on the beauty of the liturgy and how beauty draws us closer to God, deeper in prayer, and conveys a sense of the sacred. I also determined as part of this to introduce these young Catholics to the great richness of liturgical diversity which exists. I thought it necessary to address a couple of commonplace objections that I have heard from other people in the past. One such objection is that there is no place for beauty in the liturgy; that this is contrary to Gospel poverty. We looked at the book of Exodus and God's commands for the design of the Temple, and the objects used in the sacred worship of the old covenant. We talked as well about beauty as it manifests itself in our own lives outside of church, and we talked about how beautiful churches and worship are something for all the faithful, rich and poor alike. A second objection that some may speak of is that they believe Christ was against tradition and ritual. This is of course fairly easily addressed. Now, good liturgy incorporates all of our senses, so I felt a good talk on the liturgy should do likewise. I brought in some of the liturgical articles at the parish, passed around incense, etc. More importantly, I brought in some video clips of the classical Roman liturgy and the Byzantine divine liturgy. What amazes me is that there is a belief out there, often expressed in my experience, that people, particularly the young, thirst for the modern. What I have found is that while the young are open to the modern, they recognize in our tradition the holiness of beauty and they thirst for this once they know of it. People were obviously impressed by what they saw and heard on these clips. Both during their presentation and after this was manifest. In fact, people were asking how they might go an experience this for themselves at either the local Byzantine rite church, or the local indult Latin Mass. When these ancient traditions are presented to them, they grab onto them. I have also noticed that there is a sense of disappointment that these things haven't been handed onto them. It's clear there is a great openness and hunger out there. As well, I took a moment to explain "ad orientem" (since many would have never seen this before). I very quickly explained it, and how the priest and people turn together toward the Lord in worship and praise. There seemed to be no objections to this. To many in fact, when you explain what the liturgy is, and then explain ad orientem, it makes perfect sense. I share this with you because it is both encouraging and demonstrative that many people are perhaps not so far from accepting the tradition as is sometimes made out, and that indeed, there is a hunger for it. This is perhaps especially encouraging for the reform of the reform.